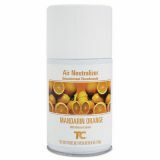 Rubbermaid Commercial Standard Aerosol Refill, Mandarin Orange, 5.25 oz, 12/Carton - Pleasantly scented aerosol effectively controls odors, while keeping your indoor air smelling fresh. Each refill operates for up to 168 days, depending on your metered dispenser's interval settings. 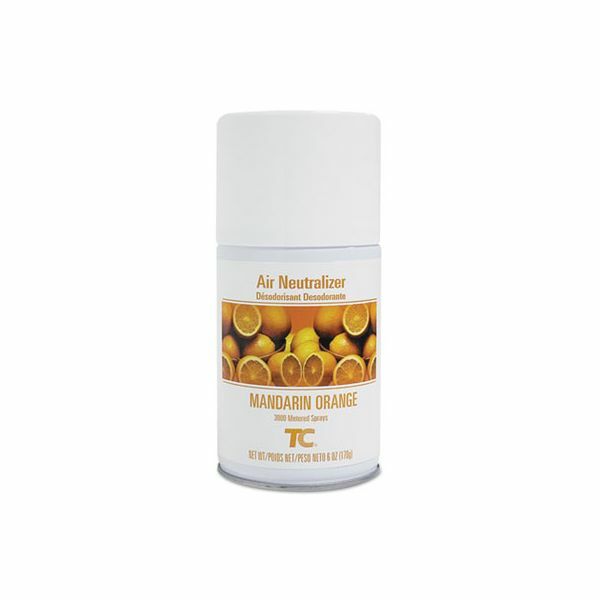 Easy-to-replace; designed for the TC Standard Aerosol System (sold separately).